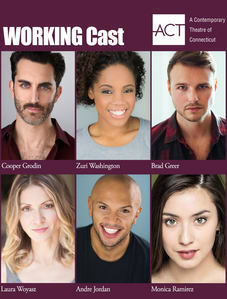 ACT of Connecticut (A Contemporary Theatre) is excited to unveil its brand new version of Stephen Schwartz’s WORKING. Artistic Director Daniel C. Levine’s reimagined, multimedia adaptation of the musical has performances from February 14 through March 10, 2019. Take a behind-the-scenes look at ACT's WORKING by watching this interview with legendary Broadway composer and lyricist, Stephen Schwartz (WICKED, PIPPIN, GODSPELL), and Artistic Director, Daniel C. Levine. The interview provides great insight into the upcoming adaptation of WORKING, which opens next weekend at ACT. Get your tickets for the new WORKING before we sell out! Tickets at actofct.org.